Start by grilling the 8 oz. 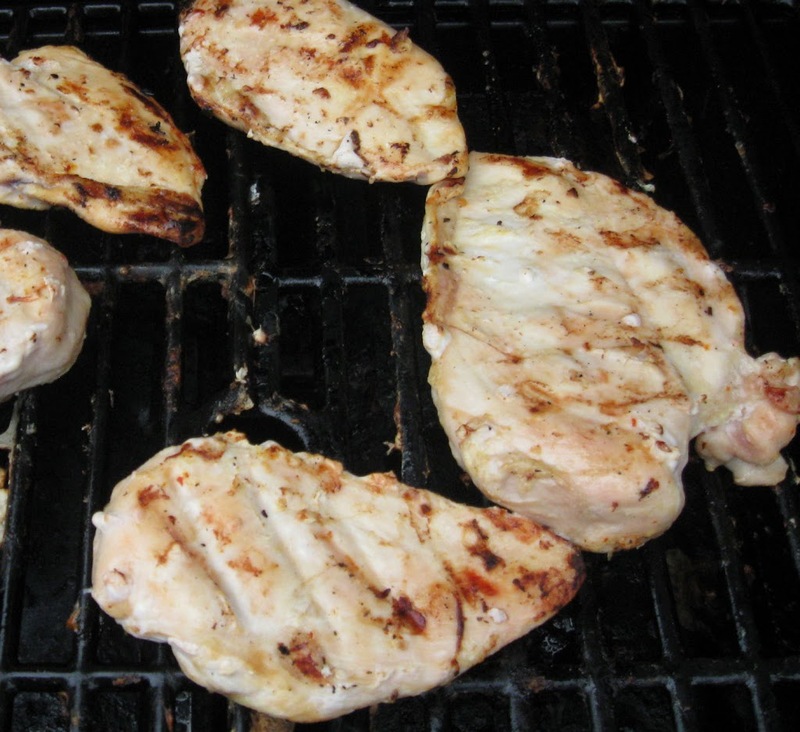 Chicken Breast and set aside. 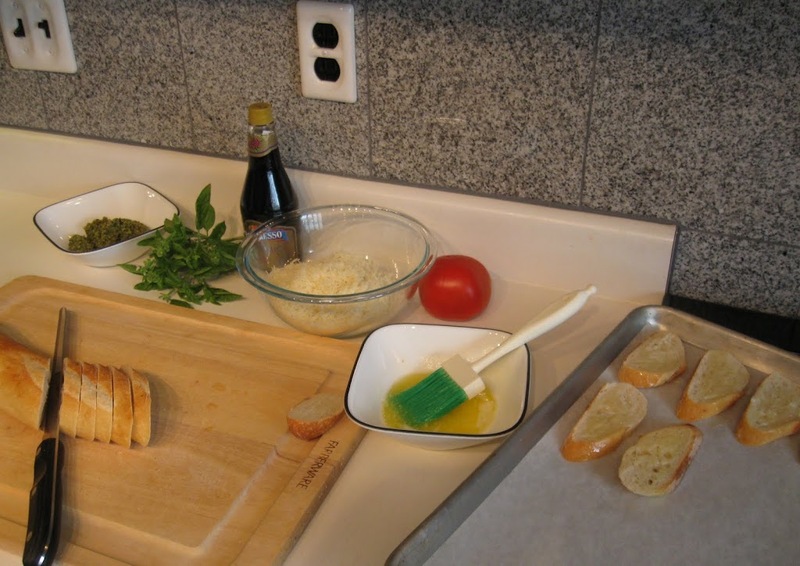 Brush both sides of the bread with the melted butter. 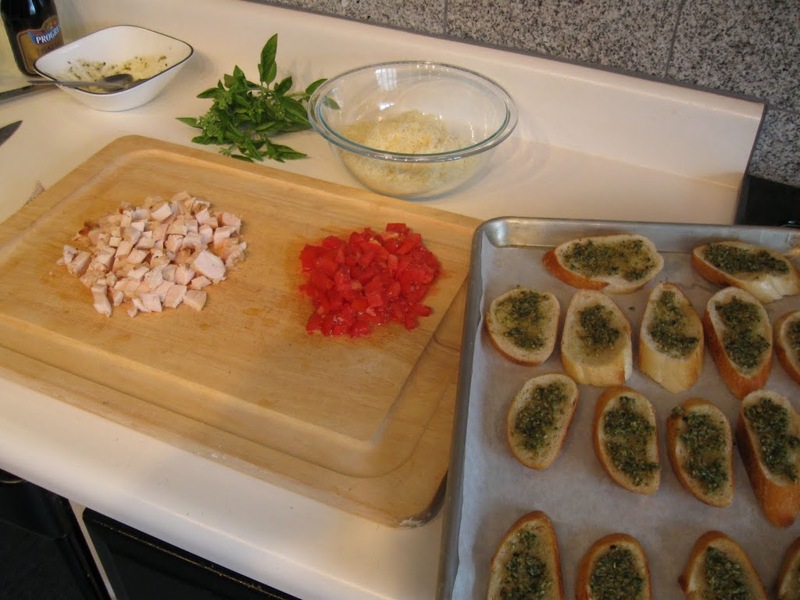 Place on a parchment paper lined sheet pan. Lightly toast bread in a 350 degree pre-heated oven. Bake approximately 7 minutes. 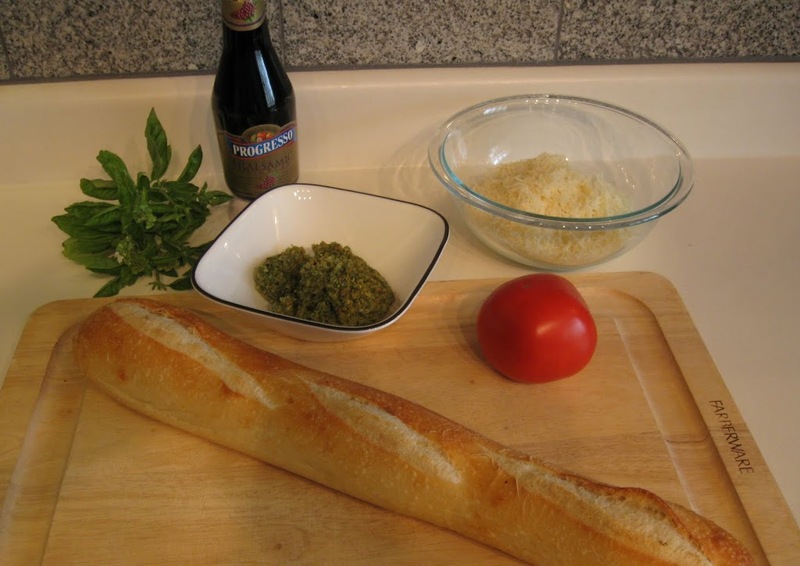 Mix the pesto, balsamic vinegar and salt together. 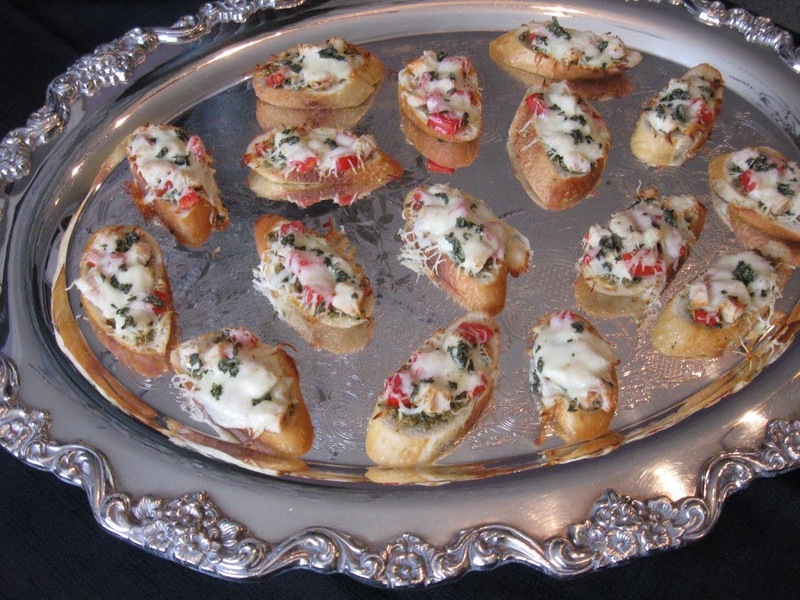 Then dollop a small amount on each piece of bread and spread for complete coverage. 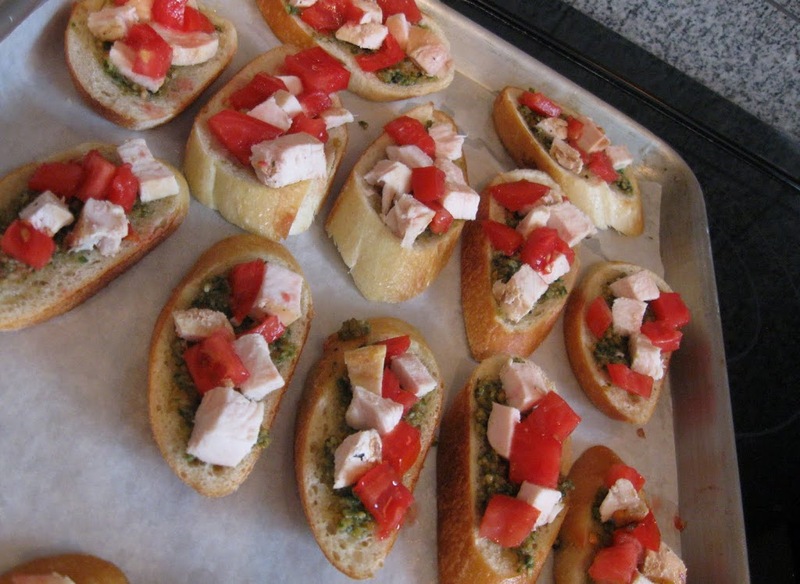 Sprinkle diced chicken and diced tomatoes on bread and press firmly. Then top with pinches of mozzarella cheese, pressing firmly into the bread. Sprinkle with minced basil. 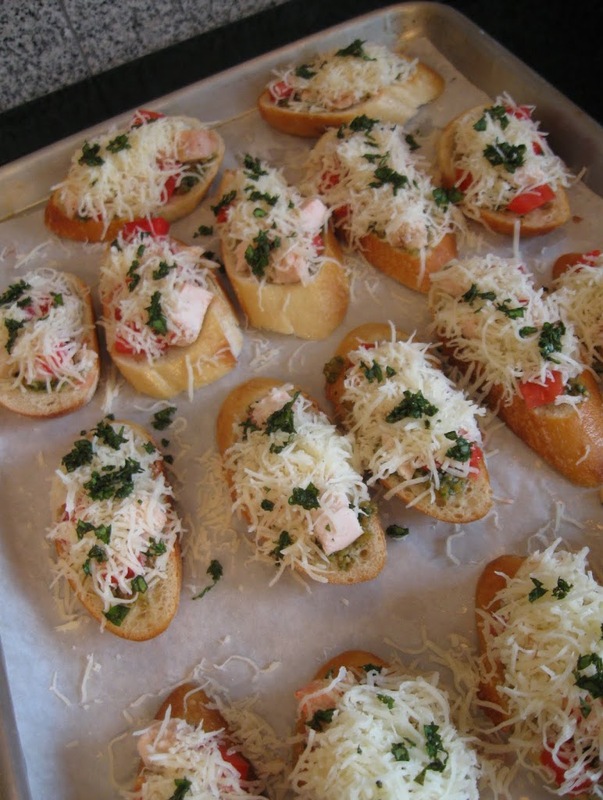 Bake brushetta in a 350 degree pre-heated oven approximately 12 minutes until completely toasted and cheese is melted.